In addition to touring the campus, the four groups of students were able to establish their own paper-airplane businesses, explore majors and careers and take part in education and biology labs. The event helped Union County Public Schools’ work on at least two focus areas within its Strategic Plan 2022: college readiness and positive learning experiences. Dr. Andrew Houlihan, superintendent of schools, has asked all of the county’s public elementary and middle schools to plan trips to colleges for fourth- and seventh-graders. 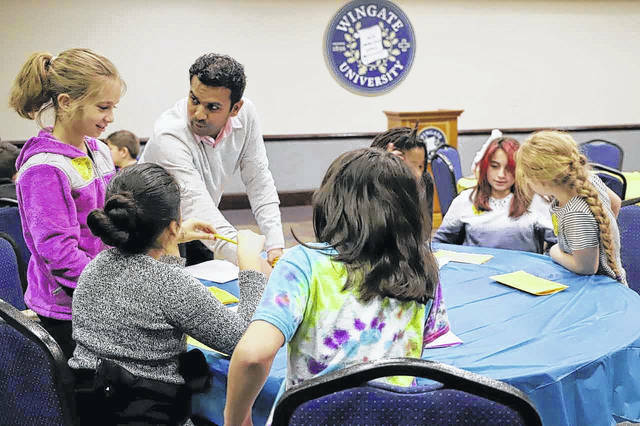 As part of Wingate University’s involvement with the Shiloh students, Sarah Katz, a junior communications major visited the school in advance and introduced fourth-graders to vision boards to help them visualize what they want for their future. “The show must go on,” may be one of the oldest clichés in theater. But that’s what will happen at Wingate University on Feb. 26, when a stage set to be named in honor of a beloved director and retired professor will be named in his memory instead. Larry Coleman died Feb. 2 after a long battle with Parkinson’s disease. He had retired from the University in 2016, having spent more than a quarter of a century teaching and directing there, including more than seven years at the helm of the George A. Batte, Jr. Fine Arts Center. During the first week of January, the University announced that the Batte Center’s main stage would bear his name, 20 years after he staged Tennessee Williams’ Cat on a Hot Tin Roof there, inside the then-brand new Hannah Covington McGee Theatre. Coleman fell in love with theater when he and another student at Southeastern Bible College in Birmingham, Alabama, overlooked the school’s lack of a drama department and staged their own plays. He earned his master’s in theater arts from the University of Montevallo in Montevallo, Alabama, and went on to teach at Rockmont College in Denver, Colorado; Brewton-Parker College in Mount Vernon, Georgia; and Wingate, where he arrived in 1988. Students in class and on the stage say he’ll be remembered for his high energy level and his ability to boost their confidence. As a director, he gave each performer a handwritten note of encouragement prior to opening night. In 2016, the Union County Arts Council presented him with its highest honor, the HeART of the Arts Lifetime Achievement Award, for outstanding contributions to advance the arts and quality of life in the county. That same year, he was awarded Wingate’s Charles and Hazel Corts Award for Excellence in Teaching. Former students and co-workers as well as Coleman’s friends and family will be on hand Monday, Feb. 26, to remember him and his work. The stage dedication is set for 2 p.m. A reception will follow in the Batte Center Rotunda. Contributed photo Dr. Amresh Kumar, assistant marketing professor, has students work in teams of three to draw their classroom and decorate it for a Valentine’s Day party with an imaginary $100 budget. 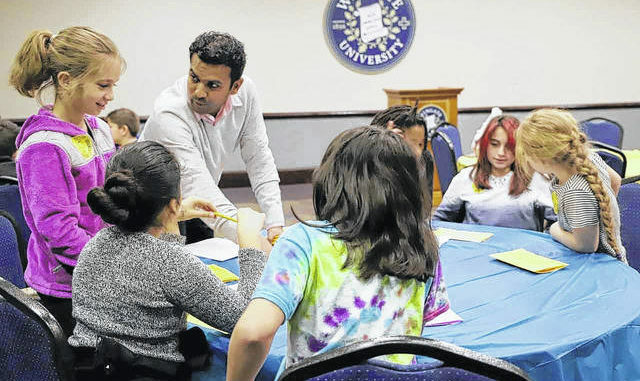 https://www.ansonrecord.com/wp-content/uploads/2018/02/web1_wingate.jpgContributed photo Dr. Amresh Kumar, assistant marketing professor, has students work in teams of three to draw their classroom and decorate it for a Valentine’s Day party with an imaginary $100 budget. Twenty-four weeks ago, voters went to the polls on Election Day and believed at the end of the evening the victors had been decided. 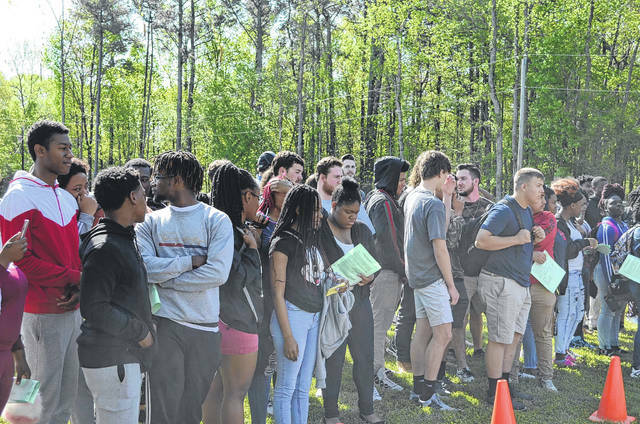 But in the weeks before that, actions with absentee ballots that led to the state Board of Elections not verifying all the results started a tidal wave of embarrassment for Bladen and Robeson counties. Bladen County was the focus, where allegations of ballot harvesting culminated with a four-day evidentiary hearing in February that wiped out results in the race for the U.S. House District 9 seat that represents Anson County. Early voting begins today for the primary between 10 Republican hopefuls. The general election is Sept. 10, unless a second primary is necessary. In that case, the general election is Nov. 5. So just what are absentee ballots, and what are the key points voters should know about the process? 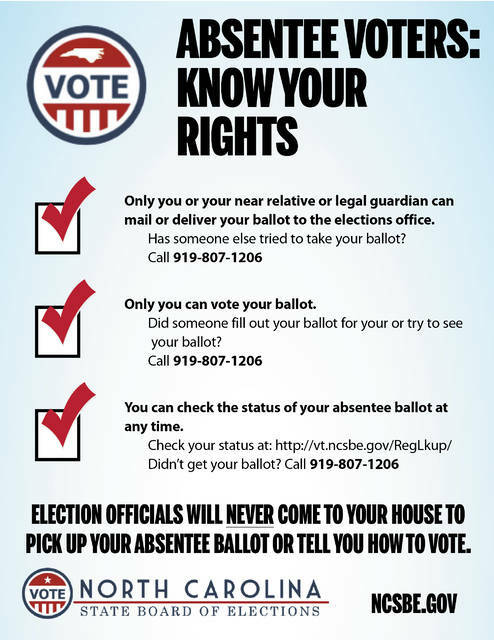 Ballots used on Election Day are the same as those used in the absentee process; there is not a special ballot. There is, however, is process that must be followed. The form can be scanned and emailed, faxed or mailed to the county Board of Elections. Mailed envelopes must be signed so that signature can be compared to the signature on the voter’s registration form. Uniformed service members and their eligible dependents, and U.S. citizens living outside of the United States, may request a ballot under the Uniformed and Overseas Citizens Absentee Voting Act. 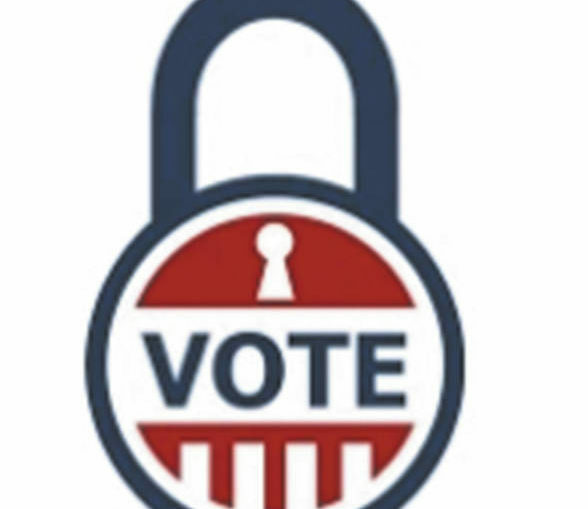 When voting absentee by mail, the official ballot and ballot-return envelope should be marked and sealed in the presence of a notary or two witnesses who are at least 18 years old. The witness cannot be a person who is a candidate for nomination or election to any office in the primary or election in which the vote is being cast, with the exception that the candidate is a near relative or legal guardian. Also, if the voter is a patient or resident of a hospital, clinic, nursing home or rest home, the witness cannot be an owner, manager, director or employee of a hospital, clinic, nursing home or rest home in which the voter is a patient or resident; the witness cannot be an elected official; the witness cannot be an officer in a state, congressional district, county or precinct political party organization, or a campaign manager or treasurer for any candidate or political party. Witnessess must watch the voter mark the ballot without seeing how the person votes. Witnesses must complete and sign the certification on the back of the ballot-return envelope. According to a pamphlet from the state board, almost all processes and procedures require that two or more trained personnel be involved. These officials have taken an oath to uphold state election laws and protect the security of the election. Representatives of political parties or candidates, and sometimes even members of the general public, are allowed to observe and monitor election activities. • Any person who is an election officer, member of an election board or other officer charged with any duty with respect to any primary or election, to knowingly make any false or fraudulent entry on any election book or any false or fraudulent returns. Also, if such a person were to do any fraudulent act or knowingly and fraudulently omit to do any act or make any report legally required of that person. • Any person to take corruptly the oath prescribed for voters. • For any person to assault any chief judge, judge of election or other election officer while in the discharge of duties in the registration of voters or in conducting any primary or election. State law defines assault as someone threatening to cause or actually causing injury to another person. There are many types. For example, simple assault is when someone unlawfully touches someone or performs a show of violence, which is when the threat is made but not acted upon. An example is raising a fist without actually striking. • Any person who threatens or menaces in any other manner to intimidate or attempt to intimidate any chief judge, judge of election, or other election officer in the discharge of duties in the registration of voters or in conducting any primary or election. 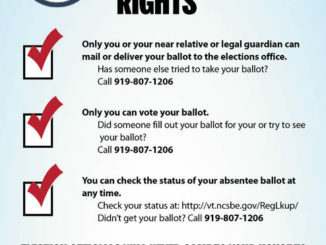 To find out the status of an absentee ballot, go online to https://vt.ncsbe.gov/RegLkup/. 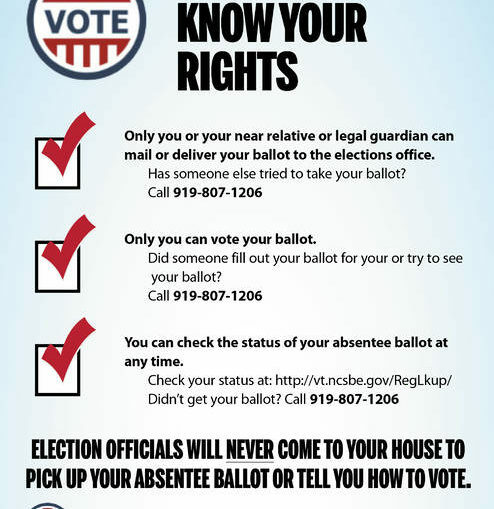 • Someone tried to take your ballot that is not your near relative or legal guardian. • Someone filled out your ballot for you, or tried to see your ballot. • A requested ballot does not come. Food will be distributed to those registered at the Burnsville Recreation & Learning Center on Saturday at 1 p.m. The remaining items will be distributed May 1 at 10 a.m. Proof of income documentation to leave with the registration clerk at the learning center’s pantry is required for registration. Families that receive federal food assistance automatically qualify. Those coming are asked to use the parking lot; food items are only available to Ansonians. The N.C. Department of Agriculture and Consumer Services food distribution division provided the food items through the Second Harvest Food Bank. For more information, go online to burnsvillelc.org or call 704-826-8737. Office hours are 10 a.m. to 5 p.m. Monday through Thursday. 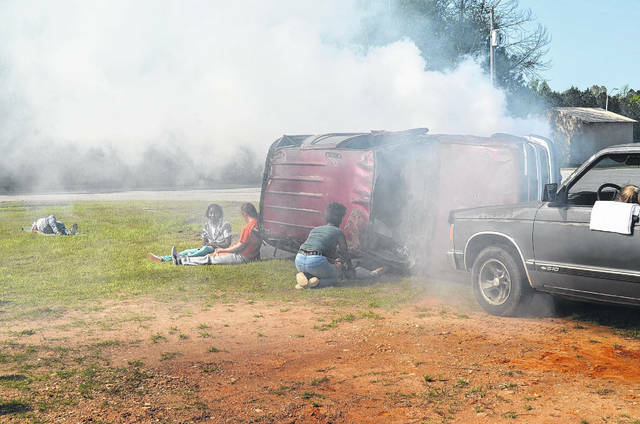 Anson County law enforcement agencies conducted a mock crash scene at Anson High School to make students aware of some of the dangers of the road. Sgt. Chad Haywood of the Wadesboro Police Department and Deputy Scott Gulledge of the Anson County Sheriff’s Office were in charge of the mock crash. 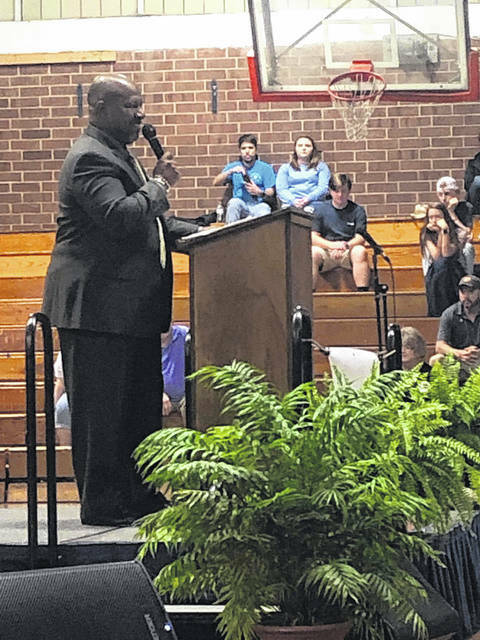 “Law enforcement agencies of Anson County do not want the class of 2019 going out in a crash,” Haywood said. He said they also urge parents to talk to their teen about the dangers and consequences of underage drinking and unsafe driving behaviors. Examples included poor seat belt use and risk-taking behaviors such as speeding and distracted driving. They encouraged students to always buckle up. “The mock crash aimed to send a hard-hitting reminder of the dangers and consequences of unsafe driving behaviors,” Haywood said. Mock crashes are dramatic reality checks for students and caregivers. The mock crash uses real crashed vehicles set up on school grounds and student participants to act out roles as crash victims. The school’s juniors and seniors watched the demonstration and learn how emergency responders conduct rescue efforts in real time. Participating in the event were the Wadesboro Police Department, Anson County Sheriff’s Office, Polkton Police Department, Anson EMS, Wadesboro Fire Department, Anson Rescue, Anson 911, Williamson Wrecker, Anson County Safe Kids, MED Center Air and Anson High School students. 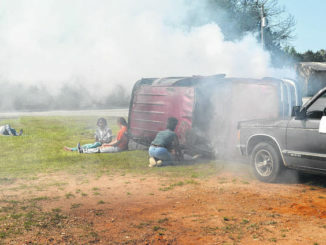 Anson High School juniors and seniors watch a mock crash scene. Students act out a mock crash scene for their peers. 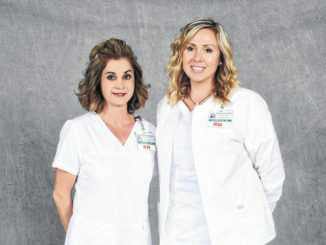 Anson native, Courtnie McIntosh, has partnered with Ruby Jones, the owner of Dental Assistant Academy of North Carolina, to offer a full tuition, $3,600 scholarship for graduating seniors in Anson County. 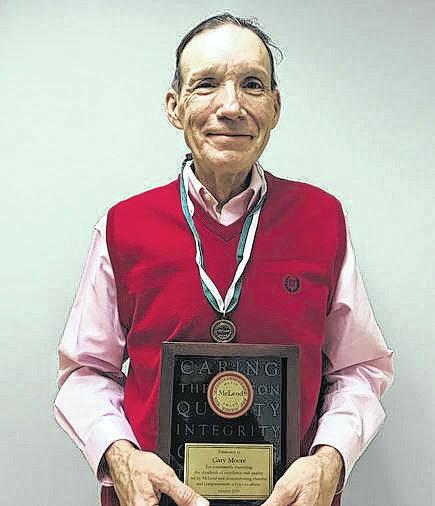 McIntosh is the founder of the Academy of Goal Achievers, a youth leadership program in Charlotte, and visionary founder of the Sweetheart Scholars Scholarship in Anson County. The dental assistant program is 12 weeks, with sessions starting in June and September. 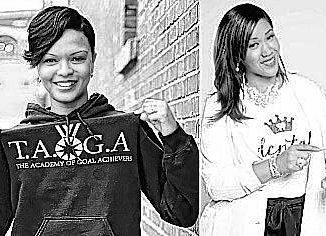 The scholarship winner will be honored at the Academy of Goal Achievers annual awards ceremony June 28 in the Duke Energy building in downtown Charlotte. The scholarship is open to boys and girls. D.A. 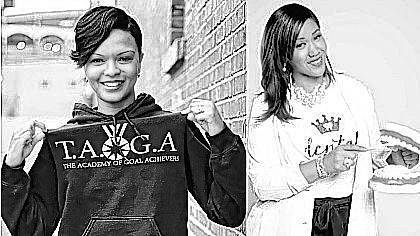 Academy of North Carolina also provides job placement assistance and internship during their training time, with the Academy of Goal Achievers providing the ongoing mentoring and support. In order to apply, students will need to contact McIntosh at info@taogainc.org or 704-222-1923. Courtnie McIntosh and Ruby Jones offers dental assistant tuition to Anson County Schools’ seniors. 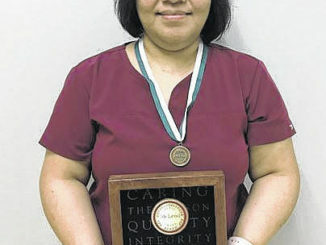 Gary Moore and Laurenza Lopez are winners of the January and February McLeod Merit Awards at McLeod Health Cheraw. The recipients were each awarded a plaque and medal during a special recognition ceremony. Moore is an environmental services technician I and Lopez is a registered nurse. The McLeod Merit Award recognizes McLeod Health employees, volunteers and physicians who consistently exemplify service excellence standards and who also demonstrate and promote the McLeod Health mission, vision and values. Recipients are nominated by their coworkers and chosen by members of the McLeod Health Cheraw Service Excellence Committee. 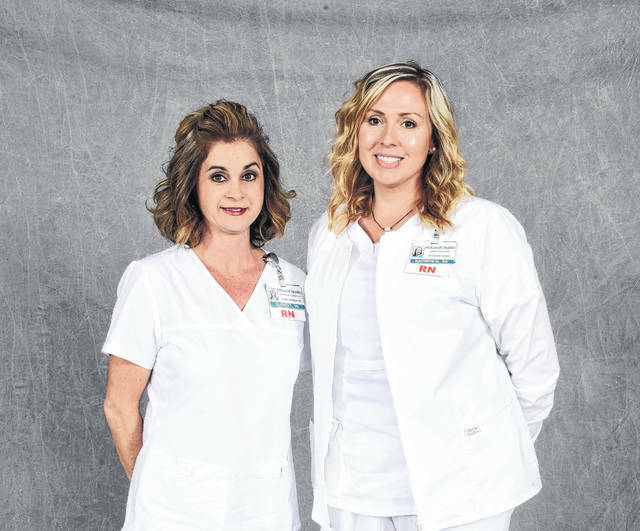 Glenda Thomas and Kathryn McLain, registered nurses at McLeod Health Cheraw, have been selected to receive the 2019 Palmetto Gold Award. Thomas and McLain are two of 17 in the McLeod Health chain that were selected. The awards will be presented Saturday. Thomas has over 22 years of nursing experience. For more than 15 of these years, Thomas has served as a preceptor for new staff at the hospital and is currently serving as the stroke and chest pain coordinator. 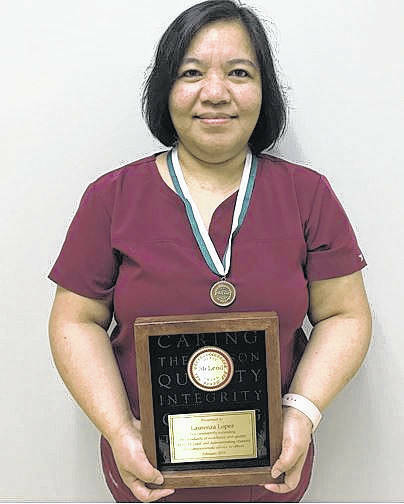 McLain has served as a registered nurse for more than 12 years in Cheraw. She is on the orthopedic surgical team in the operating room, with experience as a cardiac and pulmonary rehabilitation nurse. The Palmetto Gold Award is a program that was started by various nursing organizations throughout South Carolina as a platform to recognize nursing, and support nursing education with scholarship funds. Hundreds are nominated annually, with 100 being chosen. McLeod Health Cheraw registered nurses Glenda Thomas and Kathryn McLain received the 2019 Palmetto Gold Award. It all started when King David saw a woman bathing on the roof of her house. He called his trusted attendant. “Do you know her name?” David asked. When Bath-sheba came to him, they enjoyed each other’s company, confessed personal admiration, then in the evening lay together. Next morning, the king had her escorted back home, with a promise that they would meet again. “What’s the matter?” he asked softly, the next time they spoke. “I’m so sorry,” she said, then began to cry. “Tell me,” he said gently. “People will talk,” the king replied. “Let me take care of it,” he said, then wrote a letter to Uriah’s commander. Uriah came directly to Jerusalem, then to the palace. “How are things with Joab?” David asked. “He is a valiant leader,” Uriah smiled. “Thank you, sir.” Uriah said. As Uriah left the palace, the king sent servants to follow him, carrying a feast for Uriah and his wife. But on the way to his house, Uriah stopped at a door of the king’s palace, shared the bounty with the servants, then spent the night there, sleeping on his bedroll. When his servants told him that Uriah did not go home, King David sent for Uriah a second time. “Why didn’t you go home and celebrate?” he asked. That evening David brought Uriah to the banquet hall, where the king’s steward plied him with wine until he could barely stand. “He’ll go home now,” the king thought, as Uriah staggered out of the hall, then stopped by the palace gate a second time, to sleep, for even though he was drunk he could not sleep in his house. “Uriah is a stubborn man,” David said, when he heard the news, so he sat down to write a letter to Joab. Then the king called Uriah to the palace. “Take this message to Joab,” he said, handing his soldier the message that would take his life, and perhaps bidding him “good day” with a smile. On the battlefield, Joab sent some of his soldiers toward a portion of the city wall where the finest of the enemy archers stood, then pulled back the rest of the troops so that Uriah was killed — as well as some of his fellow soldiers, in a maneuver that only brought dishonor to the dead. After the battle, Joab called the runner to carry a message to David. At the news that Uriah was dead, Bath-sheba began mourning — perhaps seven days — for her husband, then moved to the palace to become David’s wife. After that, the king continued as if Uriah had never lived, ruling his subjects, going to the temple for worship, writing Psalms, until God sent Nathan the prophet to deal with him. The events that followed are paraphrased from 2nd Samuel 12-18. “A man up the road had entire flocks of sheep,” the prophet continued. “When an unexpected guest came along, the rich man knew he must provide a meal for him, so he looked over the flocks in his fields. Finally his gaze turned to the lamb in his neighbor’s pen. So he walked over to the pen, reached down and picked up the poor man’s lamb, who tried to nuzzle against his hand, and carried her back to the house. “And until this moment I felt no compassion at all for the man I robbed, and killed. “That’s the thing about lying,” he thought. No matter how many people I may lie to, that number is always increased by two: Myself, who thought that “no one will be smart enough to find me out,” and to God who always knows, and sent Nathan to bring me up short…before it was too late to change. The king turned to look at the prophet. Bath-sheba’s little boy died, seven days after his birth. After that, one of David’s grown sons raped his half-sister, and David’s favorite son Absalom killed that half-brother for the crime; Absalom subsequently took the the kingdom from his father, stealing the palace and parading David’s concubines on the roof, until David’s troops overcame the rebels, and Joab killed the usurper. “The lie was the first step in the destruction of my family,” David said. 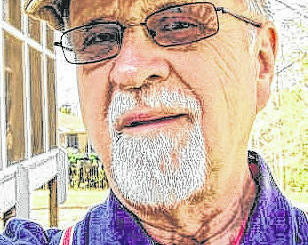 Leon Smith is a contributing columnist to The Anson Record. Email him at leonsmithstories@gmail.com or write to him at Box 124, Marshville, NC 28103. 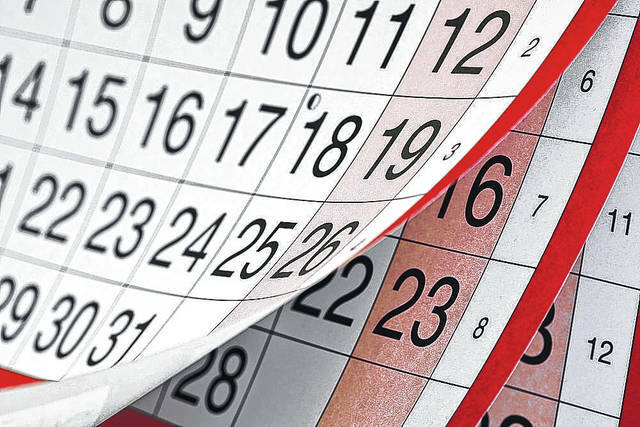 Items for the community calendar will be accepted by mail to The Anson Record, PO Box 959, Wadesboro, NC 28170, and can also be brought by our office at 123 E. Martin St., Suite 400, in Wadesboro, or emailed to ndavis@ansonrecord.com. Deadline is 3 p.m. the Thursday before publication. Calendar items must be complete and correct when submitted. Items must be submitted on 8½ by 11-inch (standard typing size) paper and include a contact telephone number. 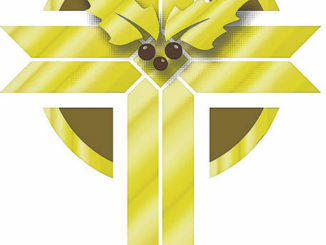 • The annual Lisenby reunion will be at Hopewell Baptist Church, 15084 S.C. 9, Chesterfield, South Carolina, at 12:45 p.m. Church services will begin at 10 a.m.
• Grace Senior Center’s 2019 annual Senior Information and Health Fair registration is 11 a.m. to 1 p.m. at the Lockhart-Taylor Center, 514 N. Washington St., Wadesboro. There is no charge to vendors. Setup starts at 9 a.m. Lunch will be served to all vendors. Contact Mary Jones to let her know how many tables are needed and how many will be at each table. For more information, contact Jones at 704-694-6616, or mjones@co.anson.nc.us. • There will be a free Fabulous Fifties Senior Citizen Prom, celebrating Older Americans Month. Come dressed in your Fifties best. Eat, dance and have fun. The prom is sponsored by Grace Senior Center; and will be in the Lockhart-Taylor Ballroom, from 7 until 9 p.m. Call Mary Jones to register at 704-694-6616. • Bowman Senior High School, class of 1984, will host its 35th reunion. Friday’s event will be held at Hickory Tavern, 6455 Old Monroe Road, Indian Trail, from 6-10:30 p.m. Saturday’s event will be held at The HOLLA! Community Development, 229 E. Main St., Morven, beginning at 5 p.m. Couples fee is $110, single fee is $65, and there is an early registration option at $125 with incentive. For more information, contact Andrea Ellerbe Tillman at 704-774-0209; Barbara Ingram at 704-694-4005; or Jackie Bennett Savage at 704-961-2149. • Connections Family Support Program hosts a monthly family support group open to parents, grandparents and foster parents. This is a time for those with children who have behavioral, emotional or learning challenges to share their experiences and learn from others. The group meets the third Tuesday of the month from 10-11:30 a.m. in the Pritchett room of the Hampton B. Allen Library, 120 S. Greene St. in Wadesboro. Brunch is provided at no cost. Contact Suzanne Maness at 910-627-1769, toll free at 877-211-5995, or by email at connectionsfsp@gmail.com to register. • The Anson County Citizen Advisory Board to the Anson Waste Management Facility meets the fourth Tuesday of every month, September through May. There is no meeting in December, June, July or August, unless there is a called meeting. This board meets at 6 p.m. in the administration building of the Anson Waste Management Facility on U.S. 74 West in Polkton. • The Anson County Child Care Association will meet every third Thursday at 6:30 p.m. Call 704-695-1666 or 704-694-7887 for more information. • The Anson Women’s League will meet the second Tuesday of each month from noon to 1 p.m. at Twin Valley Country Club. Participants share lunch and listen to a guest speaker. Any woman who lives or works in Anson is invited. RSVP to President Misty Nordan at mistynordan@yahoo.com or 704-694-2122 by Friday at 4 p.m. before the meeting. Bonnie Morgan is vice president and can be contacted at bonnie.morgan@windstream.net or at 704-695-5373. • Alcoholics Anonymous Group meets on the following schedule: Mondays at 8 p.m. for an Open Discussion Meeting, except every 1st Monday is an Open Speaker Meeting; and Thursdays at 8 p.m. for an Open Discussion Meeting in the AA Building on Country Club Road in Wadesboro and on Sundays at 8 a.m. and 7 p.m. Call 704-826-7378. Meetings are nonsmoking and handicap accessible. • We Ain’t Saint’s Chemically Dependent Anonymous Group meets on Thursdays at 7 p.m. for an Open Discussion Meeting. at the AA Building, 2177 Country Club Road in Wadesboro. Meetings are nonsmoking and handicap accessible. • Anson Al-Anon Family Groups meets on Thursdays at 8 p.m. at the AA Building, 2177 Country Club Road in Wadesboro. Meetings are nonsmoking and handicap accessible. • Surrendering For Survival Narcotics Anonymous Group meets on Fridays at 8 p.m. at the AA Building, 2177 Country Club Road in Wadesboro. Meetings are nonsmoking and handicap accessible. • The Kilwinning Lodge No. 64, AF & AM, meets the second Thursday of each month at 7:30 p.m.
• Lilesville Star Masonic Lodge No. 603 meets the Tuesday after the first Sunday of each month at 6 p.m. at the Lilesville Masonic Hall, across from Parsons Grove Church. • The Wadesboro Rotary Club meets every Thursday at noon at Welika Lake Fish House in Lilesville. 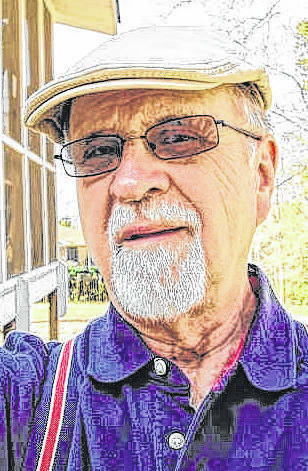 • The Anson County Sons of Confederate Veterans Camp 860 meets on the last Tuesday of each month at 7 p.m. in the Hampton Allen Library’s Hardison-Bradley Room. • The Anson County NAACP meets every third Sunday at 5 p.m. at the Hampton B. Allen Library. Call President Donnie Lewis at 704-694-6749 for more information. • A National Guard Support Group meeting is held at 6 p.m. on the second Tuesday of each month at the National Guard Armory in Rockingham. Family and friends are invited. Call 910-895-5256 for more information. • The Union County epilepsy adult support group meets the first Tuesday, monthly, at the United Way of Union County, 102 Franklin St., Monroe, from 7-9 p.m. Call 704-377-3262. • A domestic violence support group meets every Monday night from 5:30-7 p.m. at the Anson County Domestic Violence Coalition in Wadesboro. Call 704-694-4499 for more information. • The Anson County Human Relations Council meets at 6:30 p.m. the first Tuesday of each month at the Allen Library. • A diabetic support group meets the last Thursday or Friday of each month. For more information, call Ruth Hildreth at 704-694-3979 or Beth McLendon at 704-694-4291. • The Wadesboro Civitans hold their club meeting at noon on Fridays. • The Anson Women’s League meets at noon every second Tuesday for lunch at Twin Valley Country Club. • The Wadesboro Civitan Club meets at noon every first and third Friday at the Wadesboro Civitan Scout Hut. • Uptown Wadesboro Farmers Market will be held every Thursday between 4 and 6 p.m. in the Square. 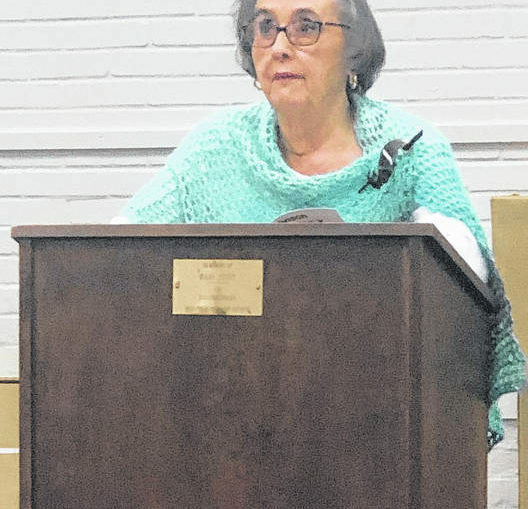 • Uptown Wadesboro, Inc. holds its board of directors meeting at 4 p.m. the first Tuesday of each month in the conference room at the Anson County Chamber of Commerce. • Grace Senior Center holds Ladies Out every Monday at 1 p.m. at the center. Dancercise (exercising with music) class is held from 1-2 p.m. each Monday and from 10-11 a.m. each Thursday at the center. It is a blend of aerobics and dance moves. Slow-paced exercise is held from 11:15 a.m. to 12:15 p.m. Thursdays. The center also holds bingo on the third Thursday of each month at 1 p.m. There is no cost and guests must be 55 or older to play. To learn about any of these events, call Grace Senior Center at 704-694-6616. • Anson County Parks and Recreation is seeking interest in men’s basketball and a new men’s wiffleball program. If interested in participating in one or both sports, contact Jeff Waisner at 704-695-2550, Wendell Small at 704-695-2782 or Morris Gatewood at 704-694-5751. • Thursday’s Child, a community children’s choir for kids in grades K-6, meets Thursdays from 4-6 p.m. in the children’s choir room of First United Methodist Church in Wadesboro. Gail Litaker is the director. It is a total arts experience with good character in mind. • The Anson County Partnership for Children invites children ages 3-8 to “Story Time at the Partnership” Tuesdays at 4 p.m. in the Early Childhood Resource Center at 117 S. Greene St., Wadesboro. An interactive reader will share books, sing songs and foster a love for reading through activities appropriate for young learners. Every child who attends will receive a free book. Parents are required to stay with their children during story time and are encouraged to participate. Space is limited. To make a reservation, email Karen Gerald at karen.gerald@ansonchildren.org or call 704-694-4036. Child care classrooms are welcome, but they must register due to space limitations. • Burnsville Recreation and Learning Center has an emergency food pantry; USDA food is given out every Wednesday beginning at 9 a.m. and the second Saturday of each month. Cut-off time is 10 a.m. There is also an afterschool program from 3 to 5:30 p.m., summer camp for children and an adult computer class beginning at 6 p.m. At 9 a.m. on Saturdays, job link and fax services are available. For additional information, call Carol Smith at 704-826-8182 or Gwen Lisenby at 704-848-8753. • The Burnsville Recreation and Learning Center Kids Cafe is available and taking applications for afterschool students ages 5-14. This service is extended to all parents in need. Professionally trained staff, nutritional meals, snacks, physical activities and help with homework is provided. Drop-ins are welcome but parents must enroll students in advance. Times of operation are from 3-5:30 p.m., and longer if services are needed Monday through Friday. Services can also be provided on days when school releases early if needed. For more information, contact Carol Smith or Deloris Hammond at 704-826-8182 or 704-826-8737. • The Compassionate Friends, a support group for families who have lost a child of any age from any cause, meets at 7 p.m. the second Thursday of each month at the Pee Dee Electric training room on U.S. 52 South in Wadesboro. For more information, call 704-694-8774 or 704-475-5005. • The Hampton B. Allen Library will hold Chair classes at 10 a.m. every Wednesday in the library’s Pritchett Room. The library is at 120 S. Greene St. in Wadesboro. Call 704-694-5177 for more information. • Free computer classes will be held at the Lockhart-Taylor Center from 8 a.m until noon. Students will learn the fundamentals of personal computers function and how to use job-searching engines. For more information, contact Linda Little at 704-475-1421. • Victory Over Addiction weekly seminar and support group offers help with addictions such as drugs, cigarettes, alcohol, gambling and food on Mondays from 6:30-7:30 p.m. Location is the ACCESS Center, 116 E. Wade St., Wadesboro. Call 704-695-1441 for information. • Anson County Veterans Services is open Mondays through Thursdays from 8:30 a.m. to 5 p.m. The office is located in the old Belk building across the street from the courthouse in Wadesboro. The phone number is 704-694-4418. • South Piedmont Community College’s Career Cruiser visits the following locations weekly: first Monday of each month, 9-11 a.m., Meadowview Assisted Living in Wadesboro, Mondays, 10 a.m. to noon, Horizon Group Home in Wadesboro, 1-4 p.m. Church of God and Prophecy in Morven; Tuesdays, 9 a.m. to noon, Whit’s Convenience Store in Lilesville, 1-4 p.m., Peachland Fire Department; Wednesdays, 10 a.m. to noon, Horizon Group Home in Wadesboro, 12:30-4 p.m., IGA Supermarket in Wadesboro; Thursdays, 9 a.m. to noon, various locations (call for more information), 1-4 p.m., Ansonville Fire Department; Fridays, 9 a.m. to 2 p.m., Burger King parking lot in Wadesboro. The Career Cruiser provides on-site free computer skills, GED information and Job Ready Workforce Development classes. Call 704-272-5300 or go online to spcc.edu for more information. • Anson County Parks and Recreation will offer a walking program. Register at the main office 8:30 a.m. to 5 p.m. Mondays through Fridays. Call Wendell T. Small at 704-694-5751 for more information. • The Humane Society offers a spay/neuter program for dogs or cats age 4 months and up. No residency or income restrictions. This includes surgery, one-year rabies vaccine, pain medication and transportation to and from the clinic. Purchase vouchers every day except Wednesday from noon to 4 p.m. and Sunday from 1-4 p.m. at the animal shelter at 529 U.S. 74 Business West in Rockingham. For more information, call 910-895-0335. • The Anson County Arts Council will hold a free arts and crafts workshop each Tuesday from 1-4 p.m. in the Olde Mill Gallery at the Lockhart-Taylor Center. Bring your own supplies. Donations welcome. Call 704-694-4950 for more information. • The VFW James D. Henderson Post 10403 and Ladies’ Auxiliary will meet at the Hampton B. Allen Library every third Thursday at 7 p.m. Call Commander James Bennett at 704-694-2090 for more information. • All retired South Piedmont Community College employees are invited to lunch on the last Wednesday of each month. The group meets at 11:30 a.m. at Ladybug Restaurant. • The Chesterfield District Chapter of the S.C. Genealogical Society meets in the meeting room of the Chesterfield Visitors Center (Old Chesterfield County Courthouse) located at 100 Main St., Chesterfield, South Carolina. The research library is open each Saturday from 10 a.m. to 3 p.m., and someone is available to assist with research. Both the meetings and the research library are open to the public. For more information, call 843-623-2244 or email chesterfielddistrict@chesterfield.scgen.org. • Anson Community Hospice needs volunteers to give emotional, spiritual and personal support to patients and families. Office volunteers are also needed. Call 704-695-1595. • The Grace Senior Center needs volunteers to deliver meals Mondays through Fridays. Many elderly residents, most of whom live alone, depend largely on this as their main meal of the day. Call 704-694-6616. • Hospice Services of Anson County needs volunteers. Call Judy Treadaway 704-694-4880. • Senior Health Insurance Information Program needs dedicated volunteers to continue to offer its services to seniors in Anson County. SHIIP is a flagship program for the Department of Insurance and offers information on Medicare and other issues. To learn about becoming a trained SHIIP volunteer, call Bernice Bennett at 704-694-6616. Anson County Partnership for Children celebrated the Week of the Young Child with daily activities for young children and families. Each year, the Anson County Partnership for Children joins communities nationwide in celebrating young children and those who serve young children as caregivers and child care providers. The week started with a Pinwheel for Prevention Garden displayed in front of the courthouse sponsored by the Partnership and Anson County Domestic Violence Coalition. Blue pinwheels are the national symbol for child abuse prevention. Due to the rain, the annual Week of the Young Child Literacy Parade was canceled on Tuesday. However, more than 500 students in NC Pre-K and kindergarten proudly displayed their costumes as they attended a private performance of “My Lucky Day,” written, produced and directed by Tommy Wooten at the Ansonia Theater. It tells the story of a quick-witted pig that outsmarts a sneaky fox based on the children’s book written by Keiko Kasza. “My Lucky Day” was sponsored by Anson County Arts Council and the Anson County Partnership for Children. Late that evening, more than 100 people were in attendance laughing and dancing with the music for the free public performance. 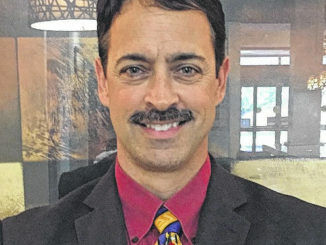 “Everyone from children to teacher raved about the wonderful job of Tommy,” Goins said. “True Story of the Three Little Pigs” was held Wednesday in the Early Childhood Resource Center of the Partnership office. 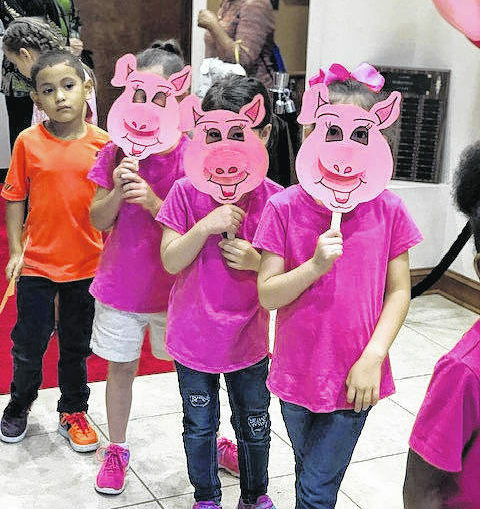 “More than 50 children attended the story reading; children created character art projects, danced and played,” Goins said. 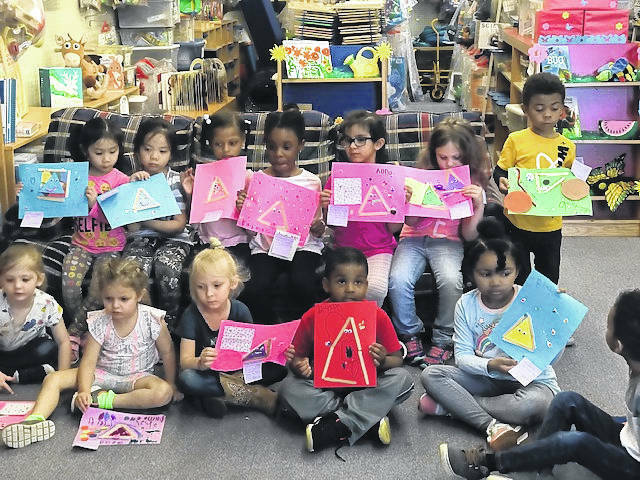 Anson County Partnership for Children board members visited child-care facilities across the county Thursday, reading to the county’s tiniest and most important citizens. “The purpose of the Week of the Young Child is to focus public attention on the needs of young children and their families and to recognize the early childhood programs and services that meet those needs,” Goins said. Children create art projects during Week of the Young. 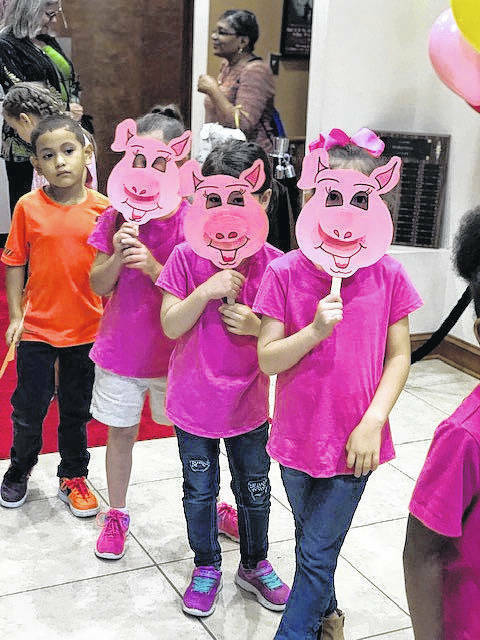 Children wears masks for the True Story of the Three Little Pigs. 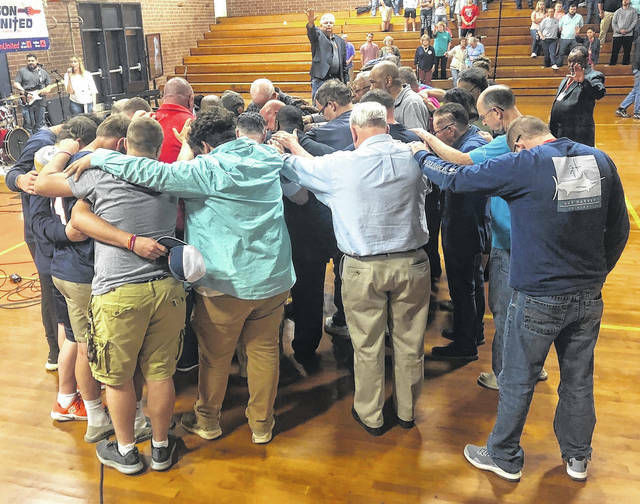 Pastors of Anson County churches gathered in prayer during the final night of the 2019 County-wide Crusade. Mike Satterfield was the guest preacher for the crusade. “There are folk who have death-defined, traumatic issues, at the door of their lives,” he said. He asked every woman and girl to stand, after reading a testimonial letter from a woman who had been raped 23 years ago. His message was a recipe for crusade; a four by four challenge. Satterfield’s message included four words, four happenings, four people and four prayers. “I want to get you in a position of doing what pleases the Lord most, so we’ll leave here in victory posture,” he said. The four words: identify, intercede, invest and invite. He used Mark 1:14-20 to show the participants how to identify four people who are far from God. “Right now, dig deep and recognize that Jesus was intentional in identifying lost people,” he added. Satterfield also included an Old Testament text for those who placed more value in it, using Isaiah 61:1. “We are the problem; not lost people,” he said. He added that they are waiting on some found people to show the way. He also said there are 2.6 billion people need an intercessor, and used one in his crusade missions as symbolism. Underneath the plane’s location, was an emergency landing strip. “Out of nowhere, God had a provision for an intercessor that didn’t get exhausted in spirituality,” Satterfield said. He answered the question, why do bad things happen to good people? “A bad thing happened to what I thought was a good person, so that it would lead a lost soul to a right relationship,” he said. The pilot from the plane gave his life to the Lord at that moment. Satterfield noted that the third thing is to invest. “When you invest, you become those who recognize something; that it’s going to cost you your entire life,” he said. He used Nehemiah 1:3-11 as an example of how Christians should pray scripture. “Fasting and prayer causes you to surrender all; to rely your whole weight in the arms of the one who can give you something better than the bread of the earth,” he added. He reminded the audience that every prayer they will ever need is in Scripture. Invite those people to do things, he said. Satterfield reminded the crowd to base prayer on God’s character, and base investment on confessing sin. Mike Satterfield teaches participants how to continue after the crusade. Pastors of Anson County gather in prayer for the county and Mike Satterfield’s travels. Early voting dates and hours are set for Anson County in the upcoming May 14 election. The site will be the Anson County Board of Elections Office, 402 Morven Road in Wadesboro. The hours are April 24-26 from 8:30 a.m. to 5 p.m., April 29-May 3 from 8:30 a.m. to 5 p.m., and May 6-10 from 8:30 a.m. to 5 p.m. This means early voting is available in a window of 2½ weeks only on weekdays. On Election Day, voting will be available from 6:30 a.m. to 7:30 p.m. In the 9th District, there is the race for the U.S. House seat that has garnered national attention. On May 14, the 9th District voting is a primary for 10 Republicans. The general election for the 9th District is Sept. 10, unless a second primary is needed. In that case, the general election shifts to Nov. 5. The U.S. House seat was formerly held by Robert Pittenger and has been occupied by a Republican since 1963. The Rev. Mark Harris, a Republican, appeared to win that seat Nov. 6 by 905 votes in a race with Democrat Dan McCready but an investigation and four-day evidentiary hearing ended in February with the state board calling for a new election. The results of the investigation were passed along to prosecutors, who have not said their probe is complete. The district attorney’s office in Wake County has spoken, but the FBI and the State Bureau of Investigation have also been linked to misdeeds involving absentee ballots in Bladen and Robeson counties. McRae Dowless of Bladenboro has been accused as the architect of a ballot harvesting scheme. He’s been arrested and charged as have Bladen County’s Caitlyn Croom, Tonia Marie Gordon, Matthew Monroe Mathis and Rebecca D. Thompson. 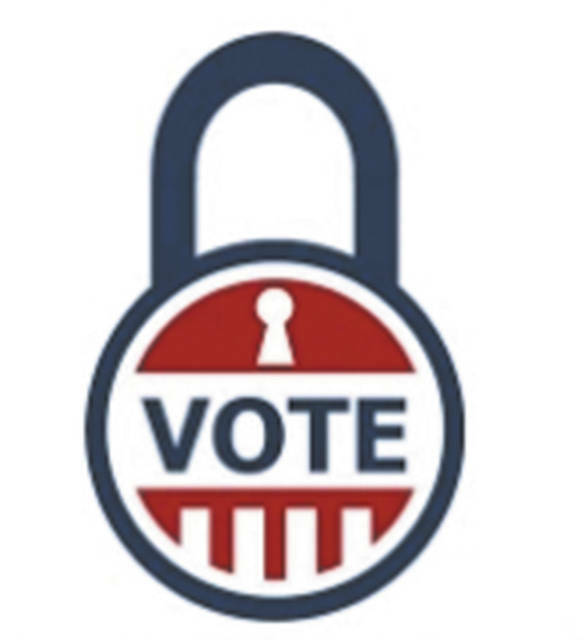 Dowless is charged with seven low-level felonies including ballot possession and obstruction of justice; the others face charges of conspiracy to commit felony obstruction of justice and possession of an absentee ballot. Mathis also faces a charge of falsely signing certification on an absentee ballot. Prosecutors have not said if they will charge Harris, who has said he hired Dowless, or anyone else. Harris, formerly pastor of a large Baptist church in Charlotte, cited health reasons in deciding not to run again. McCready, from Charlotte, is the lone Democrat running. The Republican primary field includes Stevie Rivenbark Hull of Fayetteville, Matthew Ridenhour of Charlotte, Stony Rushing of Wingate, Fern Shubert of Marshville, Dr. Albert Lee Wiley of Atlantic Beach, Chris Anglin of Raleigh, state Sen. Dan Bishop of Charlotte, Leigh Thomas Brown of Harrisburg, Kathie C. Day of Cornelius and Gary Dunn of Matthews. In the general election along with McCready are Allen Smith of Charlotte and the Green Party, and Jeff Scott of Charlotte and the Libertarian Party. Candidates do not have to live in the district they represent. The 9th District stretches from an eastern portion of Mecklenburg County to a southern portion of Cumberland County and northern portion of Bladen County, with all of Union, Anson, Richmond, Scotland and Robeson counties included. 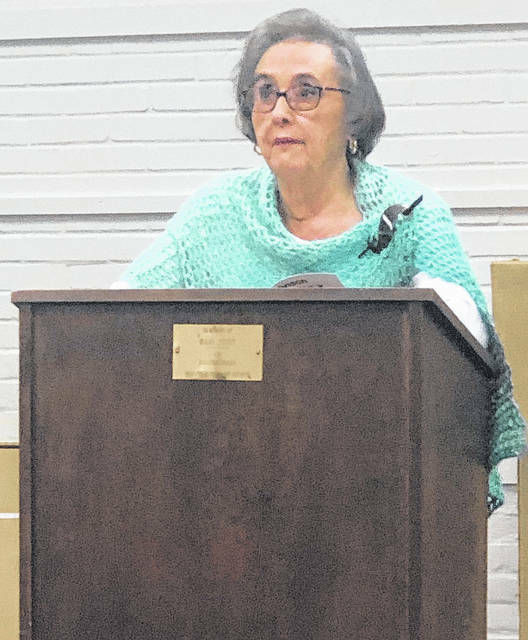 The Brown Bag Book Club listened Monday to a reading of the winners of Anson County Writer’s Club contests, featured in their latest edition of the Anson Pathways. Kaye Ratliff, the club president, and local author Sandy Bruney read selected works from the new editions to the audience, while talking about some of the changes in recent years of the contest. The Writer’s Club has been active for 30 years. “Over that time, we have produced 10 books of contest winners,” Ratliff said. Anson Pathways is published every three years. The 2019 edition features winners from 2016-2018. Works from Ratliff, Bruney and others read during the club meeting. Ratliff read a story by the late Rufus Gatson, about his cat named Sirus. The story has won in contests in Anson and Union counties. “It is an excellent story, and I think you’ll all enjoy it,” Ratliff said. Ratliff said that her family has always liked Peter Pan, so she wrote a poem called “Loving Peter Pan,” which won second place in 2016. She also read a poem from Beverly Gatson, called “The Chipped Mug,” in memory of her husband; and won first place in 2017. Ratliff also read another memory poem, written by Bruney called “Our Song,” written for her husband. 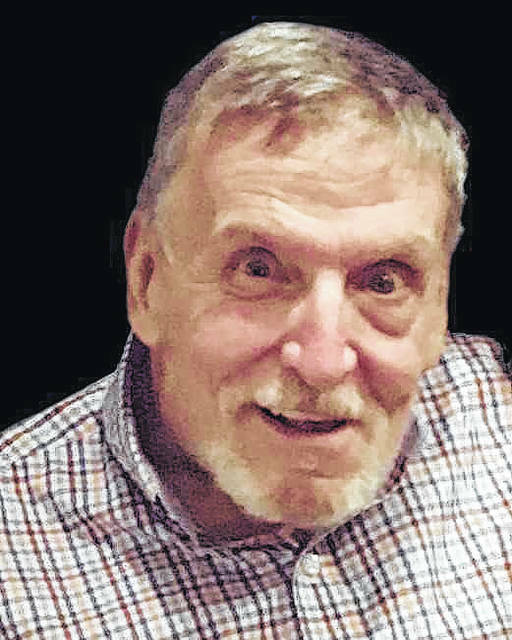 Bruney read, “The Assignation,” a story written by Charles Kaska of Heath Springs, South Carolina, that won first place in Adult Prose last year. “I want you to listen at how he balances the two points of views in the story; a wonderful job,” Bruney said. The annual Writer’s Club contests is open every September to the first Monday in December. 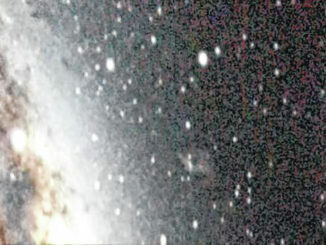 Entries can be through pose or poetry, and by adult and school-aged children. “We get wonderful entries from students,” Ratliff said. Contests entries are sent to other writers’ clubs or universities to judge anonymously. “We do not judge them because we often enter it,” Ratliff said. Sandy Bruney reads ‘The Assignation,’ by Charles Kaska, to the Brown Bag Book Club. 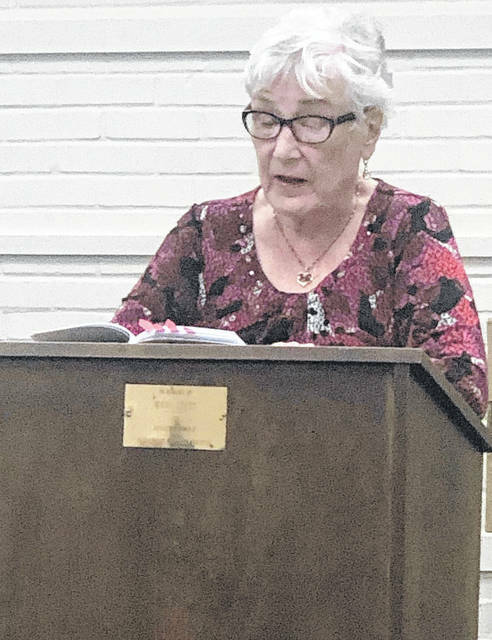 Kaye Ratliff reads poetry from winners of the Anson County Writer’s Club contest.